When you get the news that you’re expecting, you know your life is about to be turned upside down. Besides seeing and hearing your baby’s heartbeat, the most fun thing while pregnant is to search what things you need on your baby registry. The market is saturated with baby goods and with companies saying you need a certain product. Not just companies, moms and dads swearing by certain products making you believe you need to fill three rooms with baby gear and items. Your registry can grow so fast, but your living space is staying the same. Looking back on the past 18 months, there are certainly a few products I wish we had never purchased. There are some products I know for our next child (whenever that may be) we will absolutely have out and ready for use. 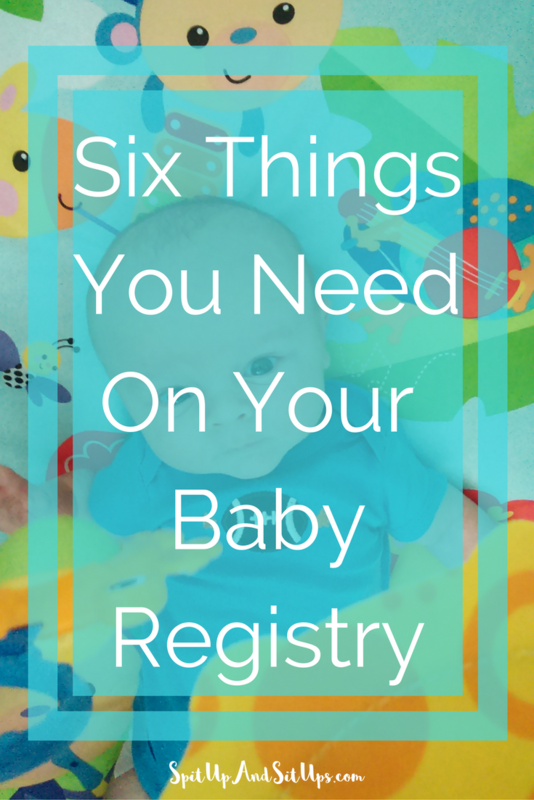 There are items you should always register for, like a car seat, safe sleeping space such as a crib or bassinet, stroller and clothes, here are a few additional things you need on your baby registry. Without my Ergo, I wouldn’t be able to eat, drink, or go to the bathroom without leaving my screaming child by himself. I know I’m not the only one who’s baby had to be on them at all times. Moms, Dads. That new parent in your family? They need a sound machine. It doesn’t come in a frou-frou package. It’s not pretty pink and doesn’t light up. It’s a machine that will save your sanity. Our sound machine actually has a projector on it which can either be incredibly useless or fun depending on your child. The sound machine isn’t up for discussion though. Nope! The Nose Frida seems like a gross idea, but it’s absolutely brilliant. We’re still using the Nose Frida 18 months later. When Rion had his first cold, we used the bulbs. They were fine for sucking, but we opened one, saw what can only be described as something nightmares are made of and decided we wanted to stop using it. We received a Nose Frida and thought the idea was disgusting. Not gross. Not disgusting. Absolutely necessary in our house. This is one of those non-negotiable things you need on your registry! Ri loved his play mat. Once he was finally old enough to use it and see the toys, this became my way to eat, drink, and go to the bathroom without having to babywear. He’d kick the piano and coo at the toys. At 18 months, we’re still using the piano as it detaches from the mat. Mom friends swore by this one and they were right. It’s small enough for our two bedroom apartment and I felt as though it wasn’t too busy for Ri to focus on. This baby to toddler rocking chair wasn’t on our radar. I had no idea it even existed. We had so many other items that this one never even crossed our minds. When we enrolled Rion in a day care, this rocking chair was the only thing he’d sleep in. The literal only thing besides my arms. Rion has never fallen asleep in our Mamaroo. He slept in the Rock N Play, but never fell asleep on his own. This rocking chair was a life saver! My little boy who had trouble sleeping loved this. I was so worried without the one on one attention he was used to getting, but with the help of the rocking chair he has learned to fall asleep on his own. The Boppy pillow really helped me with breastfeeding, and I know moms who did not breastfeed also used their Boppy pillow for feedings. Most moms agree, this is one of the main things you need on your baby registry. In fact, it should be one of the first things you add to your registry. 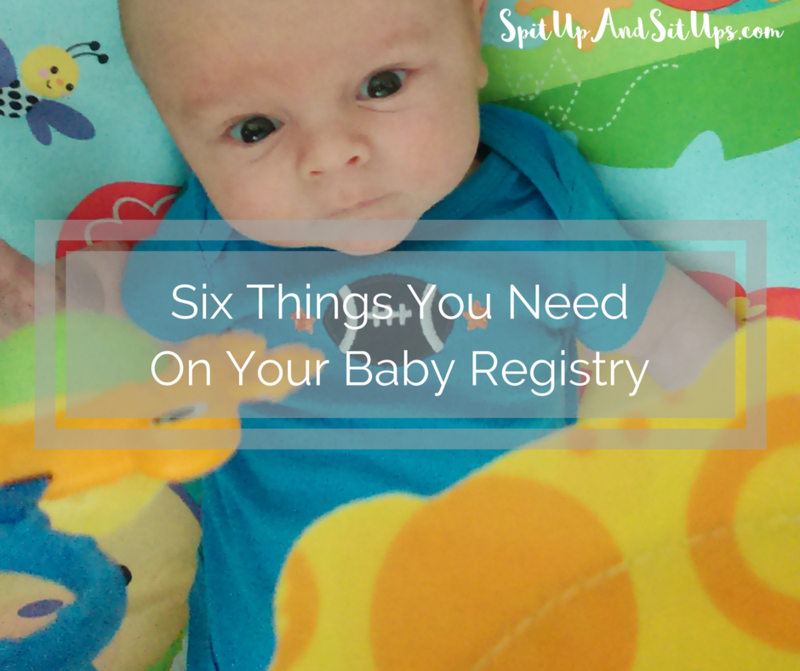 With the amount of time spent feeding a newborn, a Boppy is necessary in my opinion! We were also able to use the Boppy for tummy time. These items are must haves on your baby registry. I couldn’t live without all six of the baby items I mentioned. What items would you consider a must have for a new mom? We were against swaddles at first but we received one from the hospital. It was a miracle. He was too big to be swaddled in regular blankets; they were never tight enough and he’d break out of them and be upset. We ended up using those velcro SwaddleMes for some time. They were a life saver, but of course my son started rolling and we lost all of our precious sleep. It so is! I don’t think I could live without it! Awesome list! I have all of these. Even the sound machine pictured. That item is a lifesaver. I wish someone had suggested a sound machine before I had my son! He fought sleep tooth (gum?) and nail. One day when he was around four months old I was buying him some new clothes I saw a white noise machine and thought I’d give it a try. It has been a lifesaver! Great post! I think sometimes because it doesn’t come in the cutest box it gets overlooked. I’m going to give it to every new mom from now on! A sound machine is a must have! We used ours for all three of our kids! I feel like to some it’s a secret! Every home needs one with a new baby! The carrier is some sort of secret! I don’t know why but I wouldn’t have survived without it!